Ah, it is "kourabiedes" time, and the sweet aroma of "melomakarona" cookies will soon be filling Cypriot kitchens worldwide. At the beginning of December we decorate a Christmas tree which has become one of the most beloved and well known holiday symbols. We also hang Christmas stockings for ”Santa Claus” to put some sweets in them! For many Cypriots the holiday is preceded by a time of fasting. For Cyprus, the season is full swing by December 6th, the Feast of St. Nicholas, and will last through January 6th, the Feast of Epiphany. Christmas in Cyprus is traditionally a solemn, religious holiday. Throughout the festivities, there is no doubt that Cyprus honors Christ at Christmas. Beautiful carols called ""kalanda" have been handed down from Byzantine times and add to the reverent quality of the celebration. Are the remote Cyprus villages, with their whitewashed walls, stone corrals for the precious (in spirit) from a night in Bethlehem so long ago? While other cultures have Christmas elves, the Cypriot equivalent is not so benign. The children used to get their presents on New Year's Day and not on Christmas Day, as their "Santa" is Ai-Vasilis, whom they celebrate on the 1st January. So on New Year's Eve, after the children had gone to sleep, the mother used to place Santa's cake with a coin inside by the Christmas tree, lighting a candle on it and placing a goblet full of wine next to it. Tradition says, that Ai-Vasilis would come exhausted; he blessed the cake and drank the wine. Then he placed the presents for the children of the family under the tree. The children used to wake early in the morning and after cutting the "Vasilopitta" - Santa's cake - to find out who would be the lucky one of the year - it was the person who had the piece with the coin in it - they rushed to get their presents from under the tree. Grandfathers and grandmothers used to "ploumizoun" (give money) to their grandchildren on the morning of Epiphany Day, on the 6th January. So, the children, early in the morning used to go to their grandparents and said the following verse "Kalimera ke ta Phota ke tin ploumistira prota" (Good morning on this day of light and let us have our gift first). The grandparents were pleased and gave them their tip (money-gift). One of the most important ways Cyprus celebrates Christmas is through food. An enormous amount of cooking and hard work starts to prepare the food for Christmas. Kourabiedes or kourabiethes resemble a light shortbread, typically made with almonds. Kourabiedes are sometimes made with brandy, usually Metaxa, for flavouring, though vanilla, mastika or rose water are also popular. In some regions of Greece, Christmas kourabiedes are adorned with a single whole spice clove embedded in each biscuit. Kourabiedes are shaped either into crescents or balls, then baked till slightly golden. They are usually rolled in icing sugar while still hot, forming a rich butter-sugar coating.Kourabiedes are especially popular for special occasions, such as Christmas or baptisms. 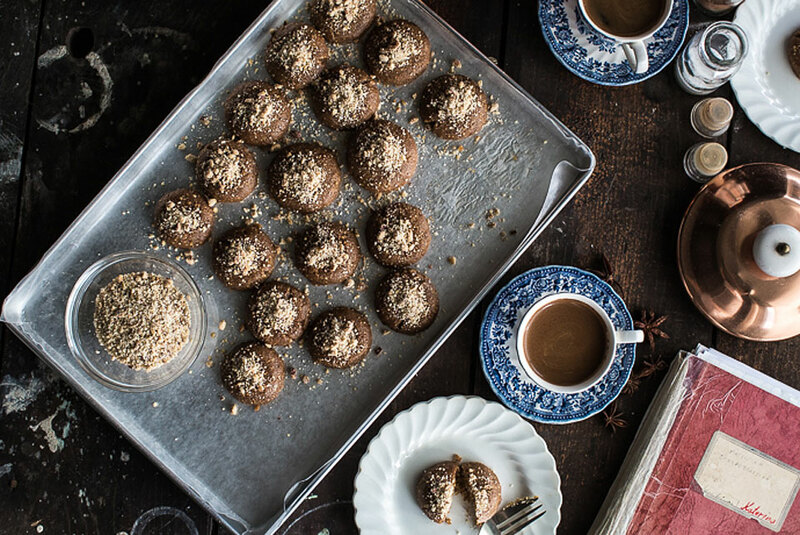 Melomakarona: Greek Christmas Honey Cookies stuffed with dates andnuts. Along with the Kourabies it is a traditional dessert prepared primarily during the Christmas holiday season. Typical ingredients of the melomakarono are flour or semolina, sugar, orange zest and/or fresh juice, cognac (or similar beverage), cinnamon and olive oil. During rolling they are often filled with ground walnuts. After baking they are immersed for a few seconds in hot syrup made of honey and sugar dissolved in water. Finally, they are decorated with ground, as well as bigger, pieces of walnut. Dark chocolate-covered melomakarona are also a more recent variation of the traditional recipe. On Christmas Eve women in Cyprus knead a special bread called "gennopitta“ known as“Christopsomo”. Christopsomo is eaten on Christmas day. This bread is a sweet yeast bread, and is characteristically decorated with the symbol of the cross. On Christmas day people go to church. After that, they go to their houses and all the family sat in the table with their best men and ate pork meat, soup of frumenty or soup of egg lemon, in a cheerful pleasant and festival familial environment. The time for family gatherings and holiday meals. Dishes such as stuffed turkey ,or “Souvla” which is roasted lamb or pork meat cooked on charcoal, are traditionally eaten on Christmas day. Vasilopitta is a traditional cake which is made on the, 1st of January every year especially for Ayios Vasilios. They cut it into pieces and one piece has a coin inside. The person who finds it, is believed to be lucky for the rest of the year. In the villages of Cyprus each family used to buy a little pig on Palm Sunday, in spring. 2-3 days before Christmas this pig was slaughtered and cut into pieces. Some of pieces were put in wine, together with salt, coriander and hang to make smoked meat or sausages to eat them on Christmas Day. A common village tradition is to cross a leaf of olive tree by a fireplace and then, after making a wish to Saint Vassilis, toss it into the fire. Before tossing the dry leaf into the flames, you would say ” Saint Vassili King, show and illuminate if I am loved by…and then you name whoever’s love you are hoping for. If the leaf jumps up after you dropped it in the fire, then that means the person loves you. If not, you try again. During the Christmas period we sing carols called "kalanda“ which have been handed down from Byzantine times. These Carols are usually sung , by children and teenagers who go round their neighborhood in groups .The house owners give some money and some sweets. In Cyprus children used to get their presents on New Year's Day as this day is also Saint Vasilis Day. Saint Vasilis is the children's favorite Saint because he always comes with a bag full of presents. So on New Year's Eve, after the children had gone to bed, their mother puts under the Christmas tree a piece of vasilopitta and a glass of wine for Santa. The children wake up early in the morning to open Santas presents. On Epiphany Day, housewives baked “kserotiana” or “loukoumades” which is a kind of doughnut. They used to throw some doughnuts on the houses’ roofs so bugbears, or else “kalikantzaroi”, would eat and leave. After Mass, the village’s priest went around all the houses and sprinkled people with holy water. This custom is known as “Kalanta”. He was accompanied by a child who held the container with the holy water. All people would throw some coins in the container, as a gift to the priest. All children went around the houses singing, in order to gain some money, known as “ploumisma” in the Cypriot dialect. One of the most important ways Cyprus celebrates Christmas is through food. An enormous amount of cooking and hard work starts to prepare the food for Christmas. 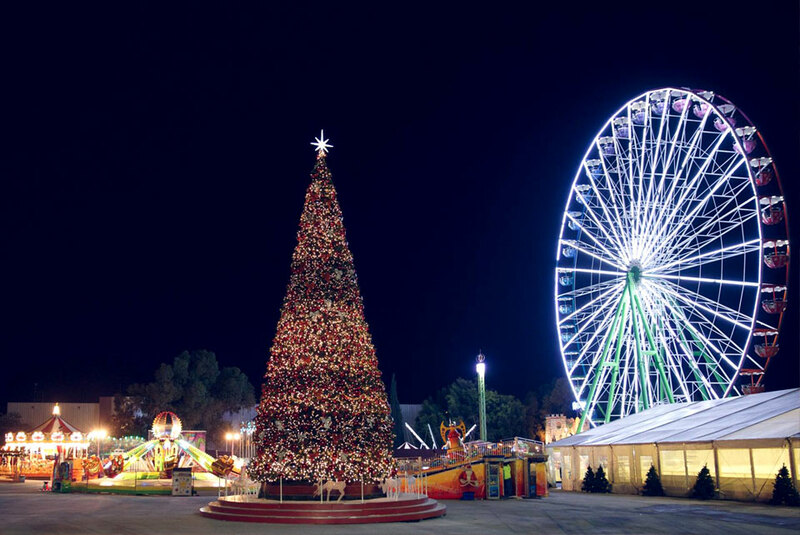 In the Cypriot tradition, the Christmas period is especially rich in customs and traditions. Don't miss the opportunity to visit some of the island's most beautifull villages. The Countryside in Cyprus remained virtually untouched. 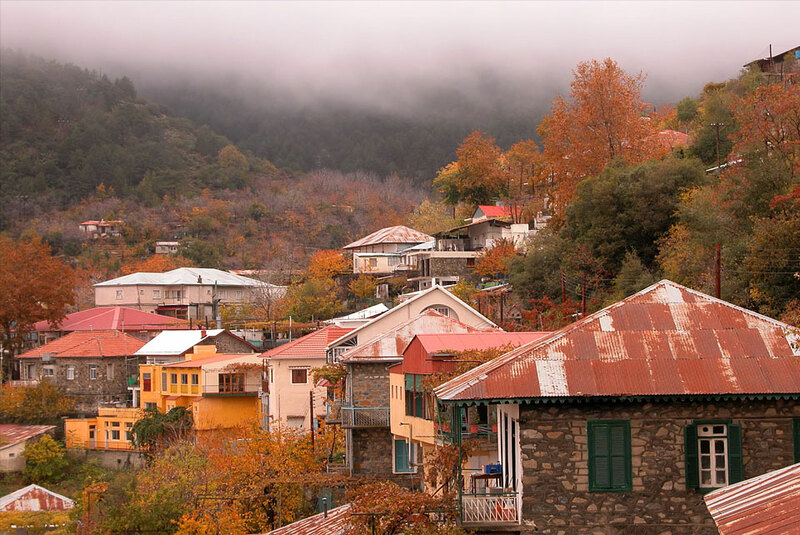 Witness the warmth of Christmas Mass in one of Cyprus' hundreds of mountain or seaside villages. Looking for Hotel or Traditional House in Cyprus? 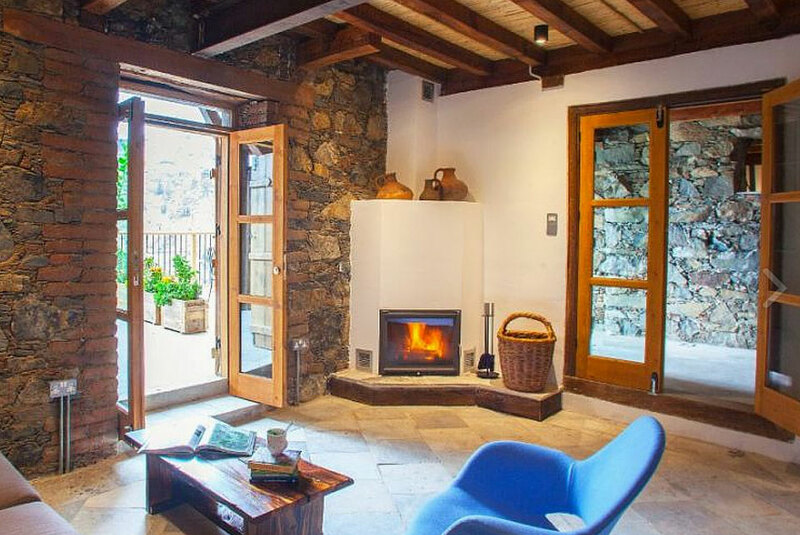 Explore our wide range of hotels or traditional houses in the countryside and find the perfect place for your to stay and taste the Authentic Cypriot Hospitality. 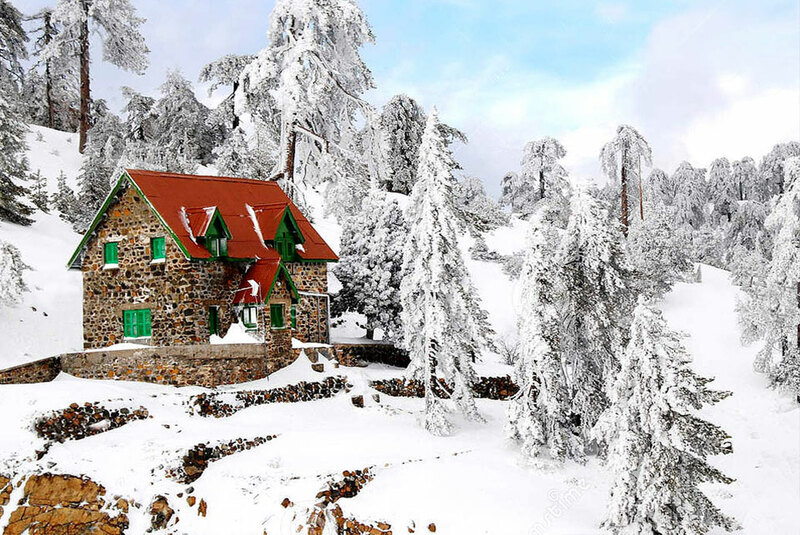 Book your Christmas Holidays in Cyprus now!